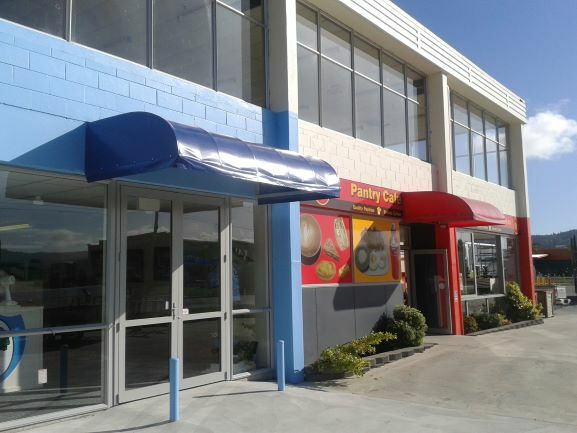 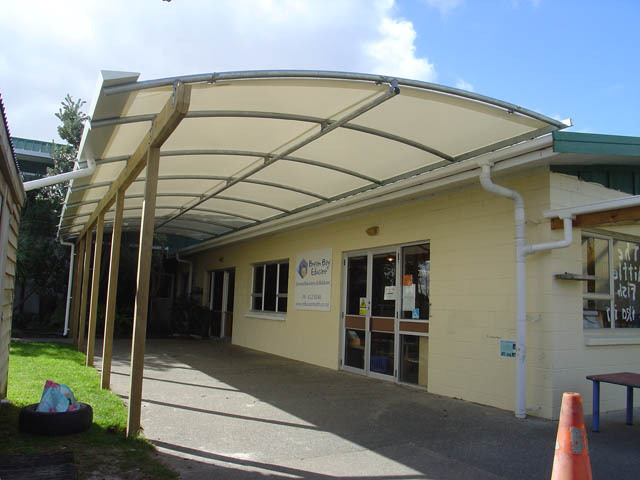 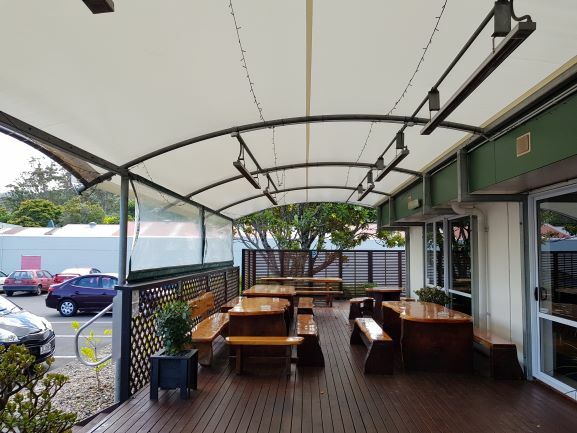 Canopies and Awnings will allow you to provide protection and advertise your business premises. 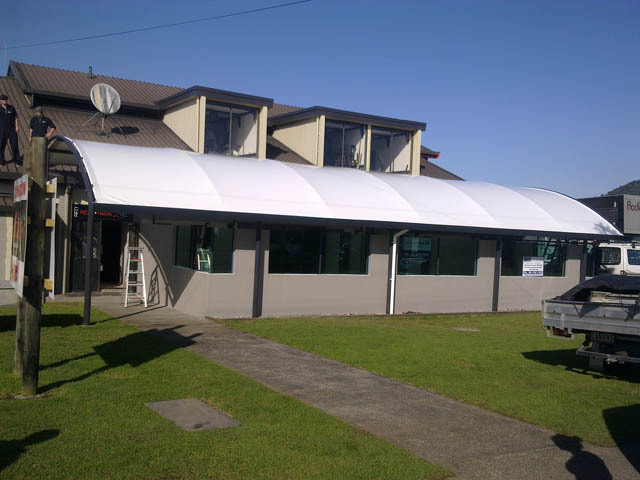 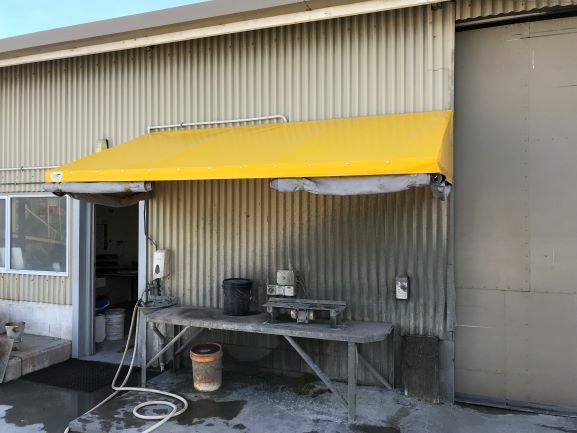 You can promote your business by installing a canopy or awning on your building. 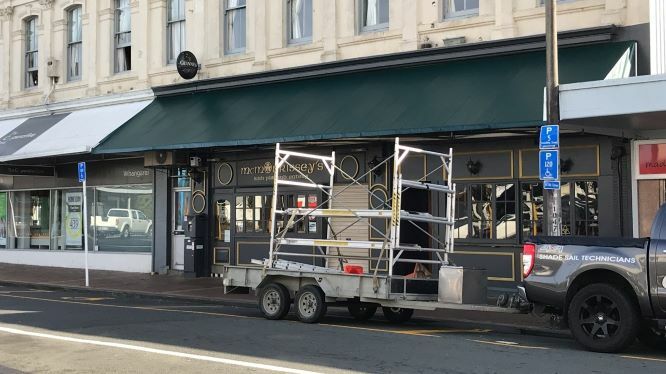 Once you add signwriting, you will be promoting your business and creating a focal point for your entrance way. 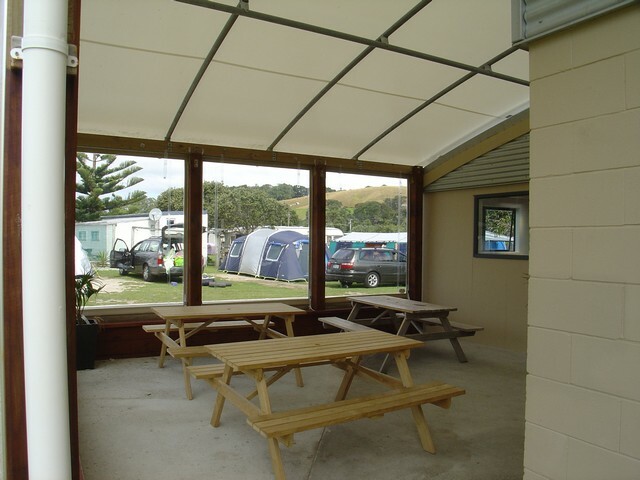 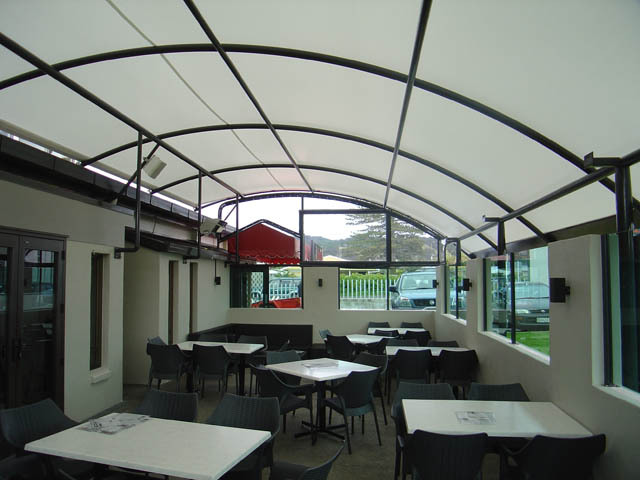 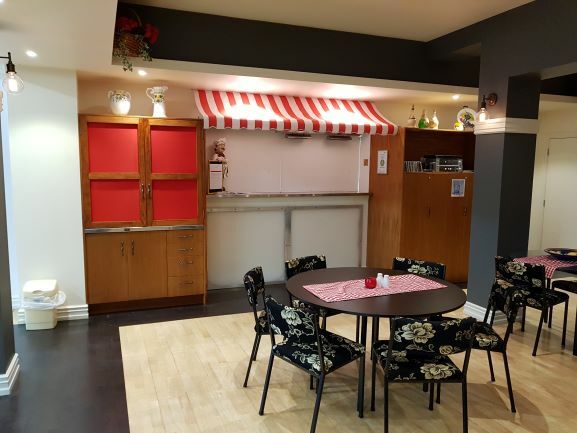 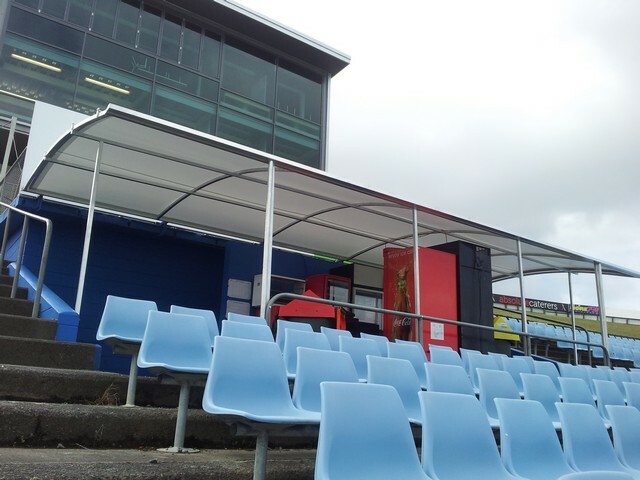 Your customers or staff will enjoy the protection a Canopy or Awning offers. 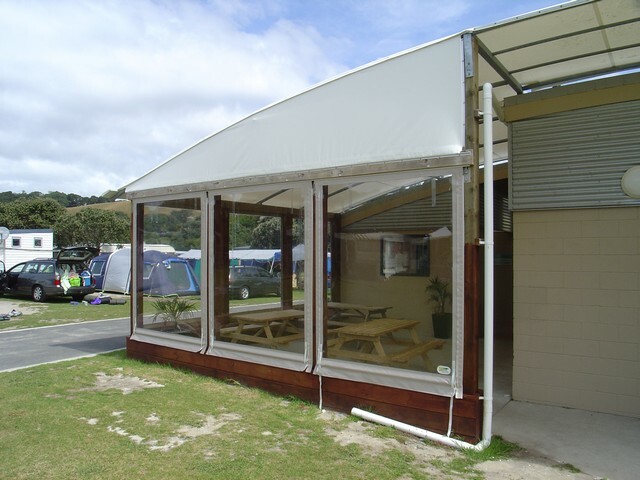 With a wide range of colours available, we can arrange to make your business stand out from the rest! 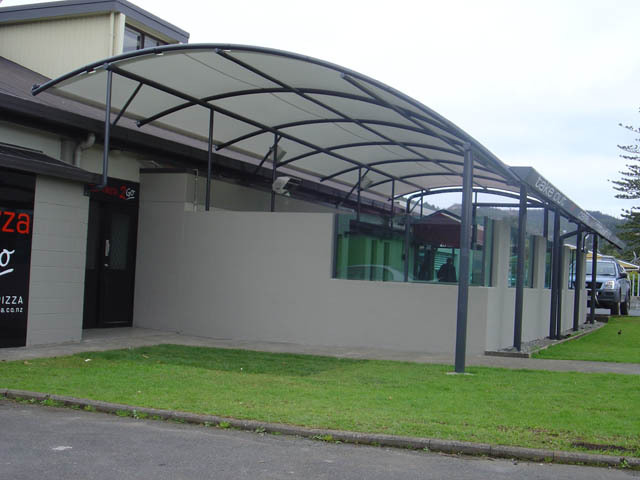 For Education Centres, the shelter and shade a canopy will provide, will make a great place to set up learning equipment. 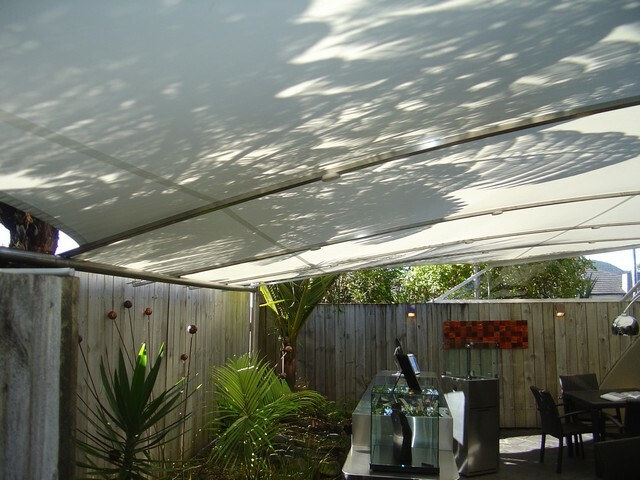 Many restaurants have created larger dining areas by installing a canopy and then clear outdoor curtains. 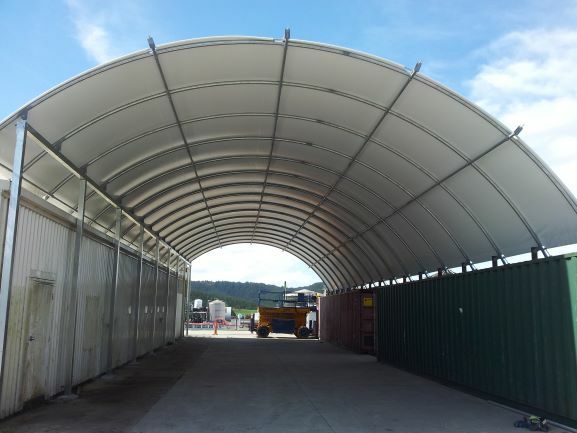 Fire retardant options are available for permit requirements. 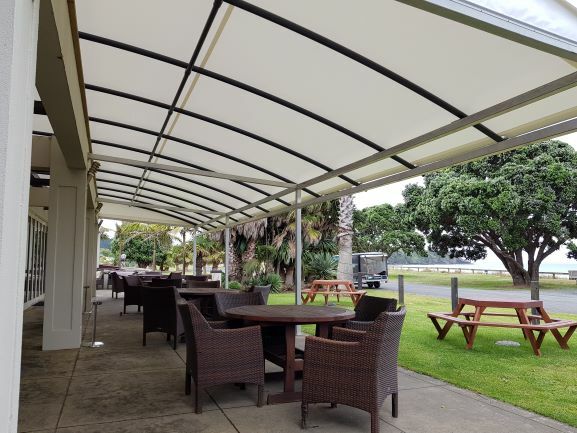 Only quality materials, proven for New Zealand conditions are used. 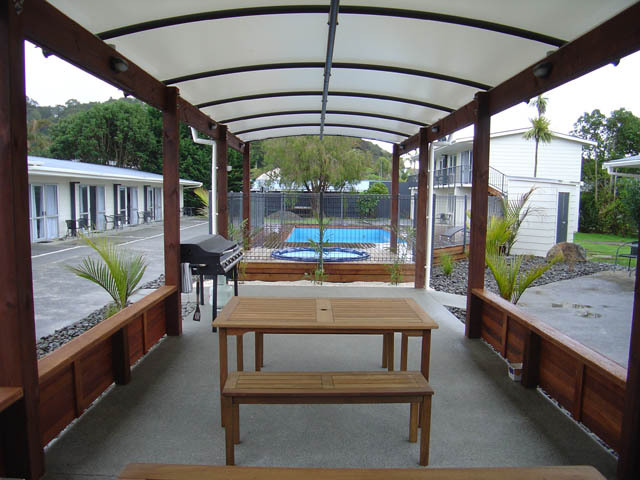 Contact us to arrange your free measure and quote, or to have any questions answered.